December 14, 2006. 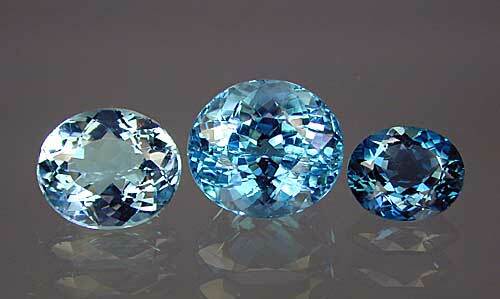 Some time back we became aware of the issue of residual radiation being detected in faceted blue topaz. We looked into the matter and provide the following discussion as a starting point for further inquiry. 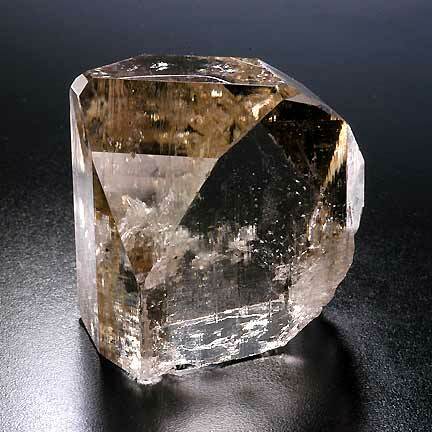 Topaz is most common in colorless and brown colors. Blue topaz is achieved by a combination of irradiation—which can turn the material brown—and heat treatment, if needed—which renders the stone blue. According to Professor Jill Banfield of UC Berkeley, nuclear reactors “create an intense blue [in topaz] (that does not need secondary heat treatment).” Other irradiation methods require the heat treatment to achieve blue color. 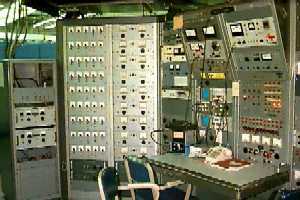 Electron linear accelerator (“linac”) console at the Rensselaer Polytechnic Institute’s Gaerttner Laboratory. The decay rates of isotopes created by irradiation depend on the individual isotope. References on the Web discuss length of decay to be anywhere from hours to days to years. A lively discussion on GemologyOnline.com provides a snapshot of the complexity of the science. A presentation by Douglas J. Parsons at last year’s biennial International Gemological Conference discusses irradiation, and specifically topaz irradiated via nuclear reactor (on page 2). Although electron beam linac irradiated topaz presents no danger to the general public, neutron-irradiated topaz treated in a nuclear reactor facility can present a potential health hazard, if not properly controlled. This differentiation between treatment technologies is fundamental and important. The impurities (i.e. elements) in topaz become quite radioactive when bombarded by neutrons in a nuclear reactor; and must be monitored carefully. Typical topaz impurities which result in activation products with longer half-lives include tantalum, scandium and manganese. Depending on the length of time the topaz was bombarded by neutrons, it might be several months to several years before such material reaches a releasable level of activity. 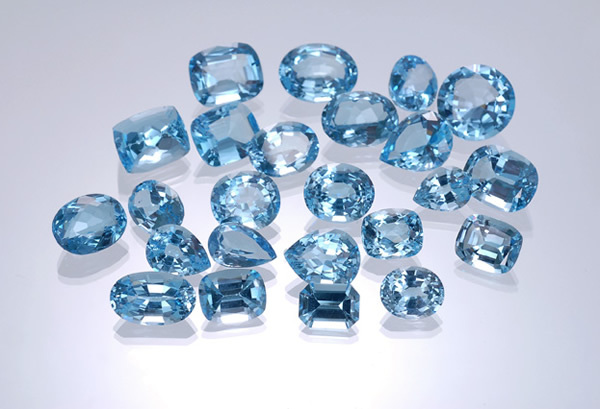 The bright blue topaz referred to as "Swiss Blue" is created by first bombarding the topaz with neutrons in a nuclear reactor, then irradiating the same topaz with electrons using an rf linac, and then heat treating the topaz in ovens. The normally clear natural topaz becomes an ugly green/brown shade after neutron bombardment, so that its neutron treatment is readily apparent to the eye. This gross discoloration is generally a good indication that radiation monitoring is necessary before handling the material further. Generally, such topaz is not released from the nuclear reactor facility until it has reached an acceptable, legal activity level. It is then sent to a linac facility for electron beam treatment, followed by heat treatment. A special NRC license is required for distribution of such gems to unlicensed persons (such as gem dealers, wholesalers, and consumers). In early 1988, NRC informed all gem industry representatives and non-power reactor licensees that NRC would accept applications for such licenses to distribute neutron-irradiated gems (see Attachments 1 and 2). The license requirements are contained in 10 CFR Parts 30 and 32. Licensed distributors must have radiation measurement and quality control procedures for ensuring that all gems released to the public are below the radioactivity limits specified in 10 CFR 30.70. The distributors must disclose to their customers that gems are neutron-irradiated. The licenses authorize distribution of cut, finished gems only, because radiation exposures associated with cutting and grinding gems are potentially much higher than those incurred through normal consumer use. The notice goes on to mention three licensees, and one pending, as of 9/1/90. We’ve been told, however, that according to the NRC there are no active licenses at this time. If this is indeed the case, it means that there is no legally recognized channel for the importation of blue topaz in the U.S. today. This notice applies only to topaz treated in nuclear reactors; linear accelerator treatment is regulated by state agencies. Of course, blue topaz is on the market, as a quick search on eBay demonstrates. We should note here that our confidential source believes that even though some of this material exceeds the limits mentioned in the NRC notice, the limits themselves are so low that a moderate infringement is not likely to cause ill effects. And the issue of residual radiation is of concern to industry players. We’ve been told of a recent attempt by an informal group of interested parties to address the issue. This week, however, we were informed that this group appears to have decided to approach the issue individually rather than collectively. One suggestion we received while researching this story: less than $800 will buy a unit that measures background radiation. (PC-based units can cost even less.) While such a device won’t measure radiation within NRC statutory limits, nor will it identify isotopes, it can at least raise a flag if, for example, a specimen registers 20–60 times above background. The material then can be tested by the nuclear health divisions of the states that offer nuclear safety testing. Given the fact that the relatively few industry stakeholders impacted by the blue topaz issue appear reluctant to address it in a concerted way—at least at present—we can only ask whether they hope the matter will just go away. The fact that gemstone-enhancing nuclear reactors are, as we understand it, proliferating in countries that may not adequately restrict the flow of “hot” material leads us to believe that the issue of safety will become more—not less—acute. Will it take a spotlight drawn on, say, the health effects from years of cutting hot stones, to finally bring about unified action? Such a scenario has some players seeing red—because such scrutiny could be avoided by making the right efforts today. Feedback on this story is encouraged. May 15, 2007. In our December 2006 story above, “Red Hot and Blue: Irradiated Blue Topaz,” we raised safety issues regarding the possibility of neutron-irradiated topaz being released to dealers and gemstone cutters before residual radiation has reached safe levels. We also discussed U.S. government regulation, which effectively bans the importation of (neutron-irradiated) blue topaz. And because it appears that imported blue topaz is becoming available in the U.S. despite the ban, we looked at the reluctance by industry players to consider self-regulation in order to insure that “hot” material is given time to achieve safe radiation levels. We’ve received a couple of responses to this story. One reader, a trade member from Thailand, raised the issue of irradiation of gemstones other than topaz. Additional feedback came from a prominent scientist who questioned why we were resurrecting the issue of “Franken-stones” when it had been settled in the 1980s by government action both here and abroad. So we asked John Emmett—an expert in the physics, chemistry, and heat treatment of corundum—to respond to the issues put forward by the readers. He goes into more detail than we did above about how neutron irradiation causes residual radiation in gemstones. He also weighs in on whether government intervention has been entirely successful. And we thought it might be time to contact our industry insider to find out whether there had been movement regarding self-regulation on safety issues. Finally, we noticed a Modern Jeweler article last month by David Federman, regarding a new topaz enhancement that’s an alternative to irradiation. There are large cobalt 60 sources in this country and in others. These sources are used, for example, for large scale sterilization of medical supplies.... Essentially, any sterile product today is completely packaged and the the packages are driven past the source on railroad tracks. There is a large facility in Tustin, California, which... operates under the name of Sterigenics, Inc. This company will also irradiate gemstones. Typically, tourmaline, quartz of all varieties, kunzite, and some topaz are treated with such a source. There is essentially no residual radiation in the product, which is why NRC allows this form of sterilization for nearly any product. Unfortunately colorless topaz is only rendered a light blue by this process. Using the example of topaz, Emmett explains the process whereby irradiated gemstones may retain unsafe residual radiation levels. 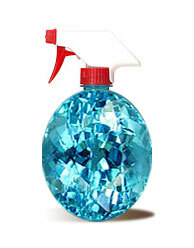 The neutron irradiation “activates” some of the impurities in the topaz. By activates we mean transmutes them into a different isotope of the element or a different element. 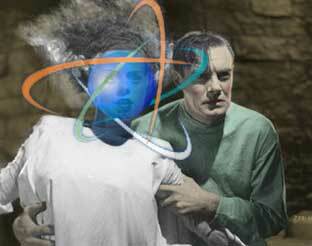 These new isotopes or new elements are often exceedingly radioactive. Radioactive materials are described by a half life, which is the time that it takes half of the material to decay away (and the radiation level to decrease by half). Half lives can range from fractions of seconds to thousands of years. In the case of the colorless topaz irradiation it was found that the impurities that activated varied greatly from deposit to deposit. Thus some material was safe by NRC criterion for release after a few weeks, while other material could not be released for years. Such irradiation was performed in the United States, but was found to be impractical. Emmett discusses the experience of the University of Missouri, which performed neutron irradiation of topaz under NRC license. A lot of neutron irradiation of topaz was done at the University of Missouri.... They developed equipment to carefully measure the radiation level of each stone individually. What they found is that a lot of material could be released in a few weeks or months but a lot of material would have to be stored for many years. The dealers who owned the hot material abandoned it and the school was faced having to maintain storage or pay the large costs of radioactive material disposal. As a result they abandoned the program of topaz irradiation for release in the US. So, generally, the gemstone material of concern is neutron-irradiated blue topaz and not, for instance, linac-treated kunzite. Cool blue... This blue topaz, on offer by Pala International, is not treated with neutron irradiation. The color is achieved via electron beam method, which doesn’t produce unsafe residual radiation. Our second reader said that he hadn’t “heard, seen or measured anything factual that radioactive stones have again entered the trade channels,” and while he cautioned against a new, unwarranted “Franken-stone” scare, he felt that authorities should be contacted if new “hot” stones are identified. Emmett also has gotten wind of this. It is my personal opinion that a large scale testing program would produce some unpleasant surprises. Whether any importation of neutron irradiated blue topaz is legal under NRC regulations is an interesting question which would have to be posed to the NRC for resolution. One of the dealer associations should raise the issue [with the] NRC, if they are responsible trade organizations. Clearly, a concern over radiation levels exists. On that note, we contacted our trade insider to see if dealers had decided to take concerted action regarding self-regulation, or any other measures. Earlier this month, we asked our informant, who participated in the talks, whether anything had changed. No new info and I really expect nothing to happen for at least a year. Unless . . . . .
There’s a possibility that the marketplace itself may settle the question of whether irradiated stones get past the gatekeepers—at least in the case of blue topaz. If non-neutron-irradiated alternatives become available—and are marketed as safe and eco-friendly—the irradiated product could be marginalized. 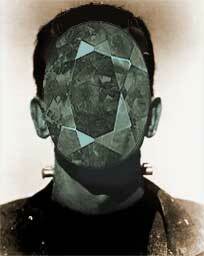 Given a clear choice, the educated dealer/consumer might opt for substitutes to neutron-irradiated stones. Signity has developed diffused blue topaz now and I think will expose the irradiated issue to promote their product as an alternative. I do not think the jewelry industry... will address it head on unless someone actually gets arrested. Who cares if it is hurting someone? Why do we go through the gymnastics of irradiation and diffusion treatment, when we could produce essentially the same result with synthetic spinel? Same hardness, same color... It’s because the former are, obviously, “synthetic,” whereas the latter are considered more “natural.” But are they really? On his website, Hughes has reproduced a recent John Emmett article from Jewellery News Asia entitled “Trust: The Ethics of Gem Treatment Disclosure,” where these issues are probed. By fostering the consumer’s understanding of treatments rather than obfuscating their disclosure, Emmett says, the buyer will be informed and more likely to buy, rather than be confused and wary. Selling the stuff is what it's all about, after all. As Emmett points out, consumers need to know that the product they’re buying is safe and that it was produced under conditions that were danger free for the person cutting it and handling it. In the case of neutron-irradiated topaz, we believe doubts about safety are significant enough for caution to be observed and maintained. We’re raising the matter here, in the hope of preventing the issue from being aired due to some future misfortune that turns out, with hindsight, to have been preventable. As always, feedback on this story is encouraged. July 23, 2007. Jewelry industry leaders will meet with the Nuclear Regulatory Commission (NRC) on July 26 to discuss irradiated gemstones in general, and imported blue topaz specifically, it was reported last week by Jewelers Circular Keystone (JCK). The meeting, which will be held in Rockville, MD, will be attended by Rick Krementz of the American Gem Trade Association, Cecilia Gardner of Jewelers Vigilance Committee (JVC), and Tim Haake of Jewelers of America. On the NRC side will be members of the Division of Material Safety and State Agreements, and the Division of Interagency Liaison and Rulemaking. JVC, in a July 19 blue topaz update, addresses the fact that the NRC requires the initial importer of nuclear (neutron) irradiated gemstones to be licensed. “Similar rules will soon be in place governing accelerator-irradiated gemstones,” the update continued. Because no licensed entity currently exists for importation, possession, or distribution of irradiated gemstones in the U.S., their presence may lie outside the law. Presumably the July 26 NRC meeting is the first step in a welcome process that hopefully will lead to clarity on the issue of regulation of irradiated gemstones. AGTA and other industry representatives meet today with the NRC to discuss irradiation issues. August 1, 2007. International Colored Gemstone Association (ICA) Executive Director, Barbara Lipatapanlop, today forwarded by email to ICA members a summary of last week’s meeting between approximately 20 industry representatives (including Lipatapanlop) and officials from the U.S. Nuclear Regulatory Commission (NRC). The meeting was held July 26 at NRC offices in Rockville, Maryland, to discuss issues surrounding irradiated gemstones, including blue topaz. NRC officials assured us that it was not their intention to impede the market for blue topaz. They are willing to work with the industry to assure that the product offers no health and safety risks. Once they have been assured that there are no risks to the public health or safety, they would be in a position to offer the guidance requested. They are willing to expedite the steps required. The NRC is expected to issue an official summary of the meeting soon. We will post it as soon as it becomes available. Aug. 10, 2007. Colored Stone has reported on the results of U.S. Nuclear Regulatory Commission (NRC) testing of nine lots of irradiated blue topaz, conducted on August 2. The NRC “found all stones tested safe for wearing (eight of the nine samples measured at background radioactivity levels and one twice above), it is not yet ready to declare huge industry backlogs of this gem safe for selling,” according to David Federman’s August 8 story. The story includes an exclusive statement prepared for Colored Stone by NRC official Scott Moore. It gives the clearest picture of the course being taken by the NRC and how testing fits into it. An NRC official declared that “there was nothing alarming from a public health and safety issue,” following the August 2 testing, according to an August 9 article in National Jeweler. More “survey data from the industry” is needed, however, before current inventories are declared safe. Today, the federal Nuclear Regulatory Commission issued a transition plan whereby it will assume regulatory responsibility for irradiated material previously managed by the states. The issuance of new rules regarding irradiation of gemstones, including blue topaz, is the latest in a flurry of activity by the body in the last few months. The NRC letter asked retailers to send a list of their topaz suppliers to the NRC; it also asked whether the topaz had been treated by neutrons or electrons. According to the article, the letter caused Sterling Jewelers to investigate the rules. They decided to pull the stones while their suppliers complied with those regulations. Still a “hot” topic. Blue topaz was the subject of recent articles in Colored Stone and a report by AGTA’s Gemological Testing Center. Read more here. Colored Stone Editor-in-Chief David Federman’s online article, “Blue Topaz: The Ban That Never Was,” discusses whether the Nuclear Regulatory Commission (NRC) had in fact required retailers to suspend sales of blue topaz. When Colored Stone heard it rumored that the NRC was approving some major retailers to sell blue topaz, the magazine put the question to the NRC’s press officer, who denied that a ban was ever in effect. The Colored Stone article states that “very shortly, perhaps by the end of October, retailers will have to certify remaining topaz stocks—as well as any and all replacement goods, as the NRC grants the first licenses for exempt distribution of topaz.” The article goes on to examine who might perform certification, standards and limits, and cost. 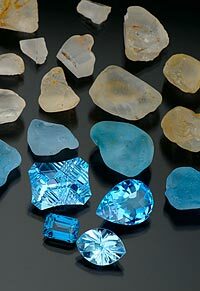 A September 2007 Modern Jeweler article, “Blue Topaz: A Path Forward,” covers some of the same ground. While much of the information on the NRC’s website doesn’t address gemstone irradiation specifically, the following FAQ (from a list of import–export licensing FAQs) does do so. It actually discusses regulation of accelerator-treated stones as well as those irradiated by nuclear reactors. At present, although accelerator irradiated gemstones are not subject to NRC regulations, NRC is currently in the process of revising its regulations to change this. Certain radium sources, accelerator-produced materials, and certain naturally occurring radioactive material will become subject to NRC regulation when the final rule is published. This is expected in the late fall or by the end of 2007. To monitor the status of this action, please check the NRC website. In the meantime, we recommend that anyone planning to import accelerator irradiated gemstones into the United States should check with the States into which the material will be imported, possessed, and distributed for any applicable requirements. In addition, because the source of radiation (accelerators or reactors) cannot be distinguished once the gemstones leave the facility, it is also recommended that importers include documentation indicating that the gemstones were ONLY exposed to radiation in an accelerator, and not in any reactors. It is common for some types of blue topaz to be exposed to both accelerators and neutron radiation, or neutron radiation alone. Documentation attesting to the nature of the irradiation should help in clarifying any questions of regulatory oversight. On October 1, the NRC published a final rule “expanding the definition of radioactive materials subject to its regulatory authority” (to include accelerator-irradiated material). Interested parties can keep abreast of the NRC’s progress on the transition implementation in the NRC’s Naturally-Occurring and Accelerator-Produced Radioactive Material (NARM) Toolbox—that is, if you can decipher the legalese. will apply to all materials irradiated in an accelerator, not just topaz, they may also require importers to be licensed to import any other gems irradiated in an accelerator. That includes irradiated diamonds. It may also include some green quartz/prasiolite, lemon citrine/oro verde, smoky quartz, golden beryl, kunzite, morganite, and tourmaline. When we received a tip last December that this issue might be worthy of consideration, we were asked “Why bother focusing on material that’s so small potatoes?” It’s true that the per-carat price of blue topaz would not keep the purveyors of fine colored gemstones at Pala International gainfully employed if that were our stock in trade. But little things do add up. As David Federman mentions at the close of his article, “the fact that blue topaz jewelry accounts for an estimated $1.5 billion in annual U.S. retail sales” means that someone somewhere is buying an awful lot of this relatively inexpensive gemstone. As we’ve maintained from the outset, the issue of irradiated material—whether lowly blue topaz or something with more cachet—could have significant impact on the trade were an avertable scandal to break. Now that the NRC has thrown off the veil as Franken-stone’s bride, sweeping the cobwebs off twenty-year-old regulations, the risk of scandal has a good chance of being avoided. Trade input and cooperation are key in this new effort, of course, and have been taking place. December 16, 2007. The Nuclear Regulatory Commission (NRC) has decided against taking action on current inventories of blue topaz, it was reported by National Jeweler on December 7. While the NRC has been putting into place revisions of regulations regarding irradiated gemstones, including blue topaz, the fate of existing inventories was uncertain for months. An NRC spokesman told National Jeweler that the agency was employing “enforcement discretion” in the case of existing stock of blue topaz. December 16, 2007. 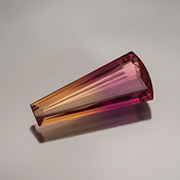 On November 8, the NRC announced that “[t]wo distribution licenses have now been issued for neutron-irradiated topaz, and other applications are being reviewed.” The licenses are mentioned in the agency’s “Fact Sheet on Irradiated Gemstones.” The fact sheet includes answers to frequently asked questions for consumers as well as jewelers and distributors. In a press release dated November 9, the trade organization Jewelers of America named the licensees as being Ideal Source Quality Assurance in Columbia, MO, and HBM Virginia in Warrenton, VA.
January 16, 2008. Last fall, JCKonline articles by Gary Roskin carried two remarks by Dr. Andrew Karam, of Rochester Institute of Technology, regarding the safety of irradiated topaz. Dr. Karam has worked as a radiation safety consultant as part of the Nuclear Regulatory Commission’s (NRC) recent efforts to address the irradiation issue. In response to a September 11 story on the subject, Dr. Karam posted the following. I’ve been working on the NRC and state licensing issues with a company that imports a lot of blue topaz. There are a few things about this that are worth pointing out: First, I’ve gone through the scientific literature, I’ve seen radiation safety reports from the producers, and I’ve done a lot of calculations of radiation dose rates. With all of this, I think it’s safe to say that there is NO RISK to anyone from blue topaz. No risk to the importers, no risk to the shippers, and no risk to anyone wearing the jewelry. Dr. Kumar went on to explain in a nutshell the regulatory and bureaucratic process of licensing distributors who can validate the safety of irradiated material. In a November 1 article, Dr. Karam gave an example of the dose of radiation obtained by wearing jewelry containing irradiated gemstones. In a song written for a 1966 Simon and Garfunkel album, Paul Simon writes of how “we speak of things that matter,” but ultimately, “we are verses out of rhythm / couplets out of rhyme.” Lost in the dangling conversation. Virtually colorless topaz rough (above) is irradiated and then heated to turn blue (middle layer of rough). Photo by Robert Weldon, © 2007 Gemological Institute of America. February 21, 2007. These two items on the subject of irradiated topaz came across our desk over the last couple of months. Everyone seems to be upbeat about this year’s prospects. Irradiated Blue Topaz: Now What? 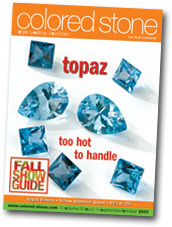 by Colored Stone Associate Editor Karla A. Rosenbusch, begins with a prediction: “Blue topaz is going to once again become a cornerstone of the colored stone business.” Given the imprimatur of Nuclear Regulatory Commission licensees, blue topaz can be distributed with safety concerns allayed, according to the article. August 21, 2008. In case you missed it at the Tucson show last February, the Nuclear Regulatory Commission’s presentation is available. The presentation, which was delivered on February 8 by NRC Senior Health Physicist Joseph E. DeCicco, has been added to a list of FAQs regarding irradiated gemstones, which we reported on last December. 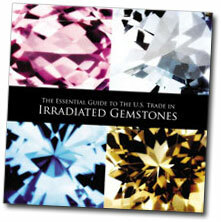 “The Essential Guide to the Trade in Irradiated Gemstones” is a brochure co-authored by Jewelers Vigilance Committee and American Gem Trade Association. It includes the following topics. Manufacturing Jewelry with Irradiated Gemstones Outside the U.S.
Must Licensed Importers, Possessors and Distributors Own the Goods that they Import, Possess or Distribute? Can the License Holder be Located Outside the U.S.? Do the NRC Regulations Apply to Finished Product Containing Irradiated Gemstones? October 22, 2008. GemClear LP announced, on September 22, receipt of a license by the Nuclear Regulatory Commission to test radiation in gemstones such as blue topaz. GemClear becomes “the first independent ‘third party’ laboratory” to be licensed by the NRC, according to a press release sent to Pala International. November 19, 2008. Just about a year ago, the Nuclear Regulatory Commission announced the first distribution licenses for neutron-irradiated topaz. The action came after nearly a year of looking into the issue of (re)regulation of irradiated material, which we began reporting on in December 2006. October 18, 2011. The edition of Journal of Gemmology featuring the article on chrysoberyl growth patterns, which we referred to above, also contains an article that reminded us of an industry concern that we covered a few years ago. In “A Russian Maxixe beryl?” (abstract here) researcher Lars Olov Andersson states that colorless Russian beryl, when irradiated, could display the deep blue color of Maxixe beryl. Immediately we were reminded of the issue of blue topaz irradiation, which we raised nearly five years ago, in a series of articles. The next-to-last in that series announced that former AGTA president Rick Krementz had been licensed by the Nuclear Regulatory Commission to test gemstone radiation. The lab, which goes by the name of GemClear, has suspended operations, according to a September 21 article in National Jeweler. The reason: Krementz said the NRC “unofficially” has ceased enforcement of its own regulations on irradiated colored stones. Shades of listeria-laden canta—er—loupe?